High brightness projector for large images. 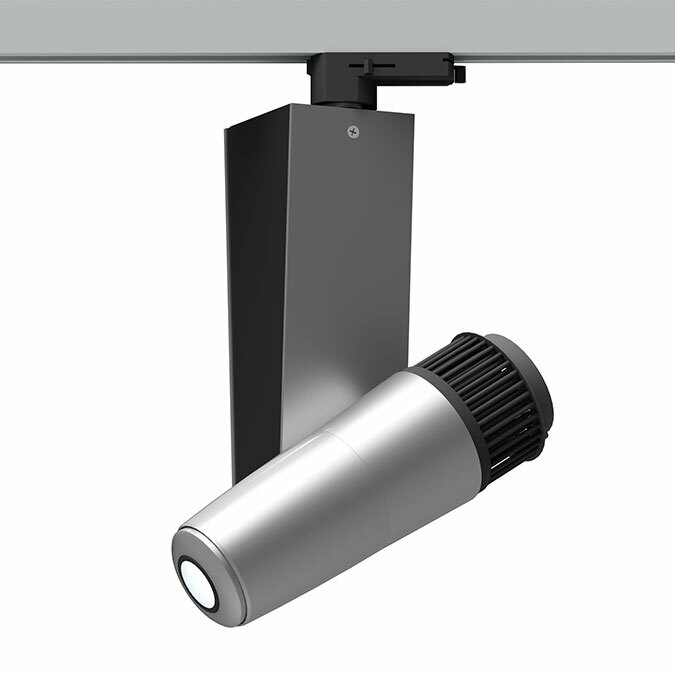 For mounting on 3-phase lighting tracks. 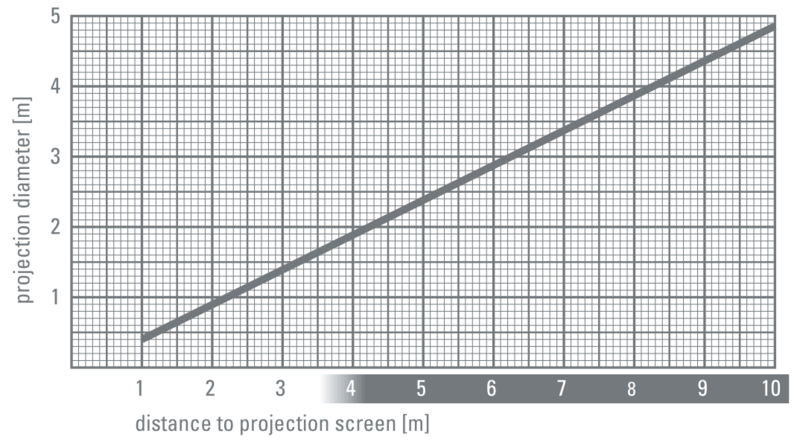 The projection template (gobo) can be changed without any tool. The image is focussed by turning the lens. 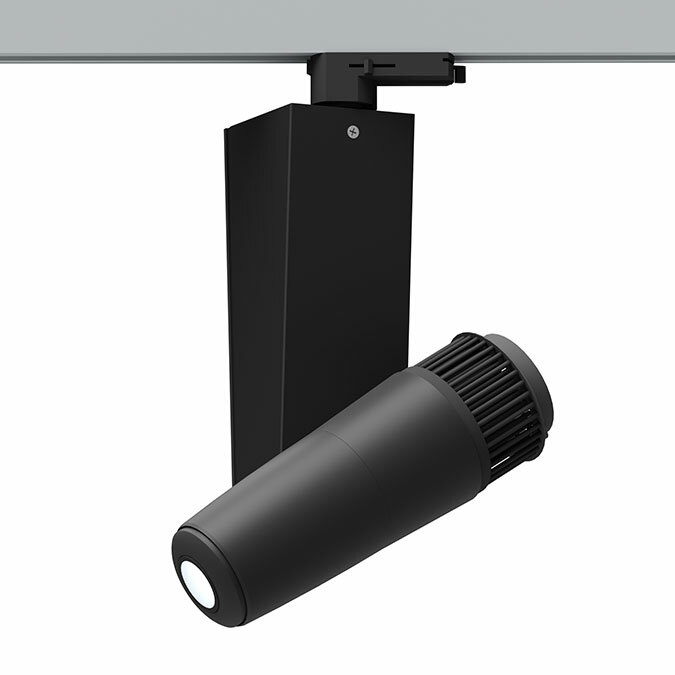 In spite of its compact size the projector is equipped with a 40W high-power LED and features a superior brightness. 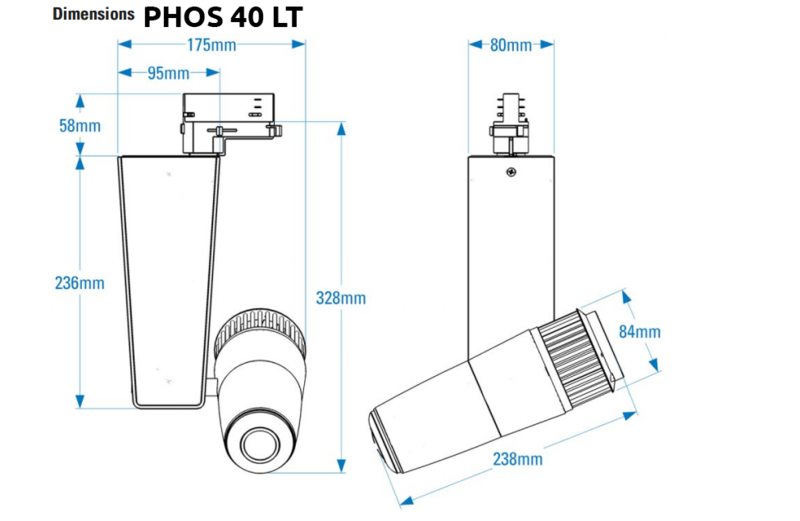 This projection light- gobo projector Derksen PHOS 40 LT is manufactured in Germany and offers ideal solution for extremely bright projection of logos and other images in retail, bar, museum, gallery and many other places. Perfect for branding, projection advertising, for projection of navigation and safety signs. 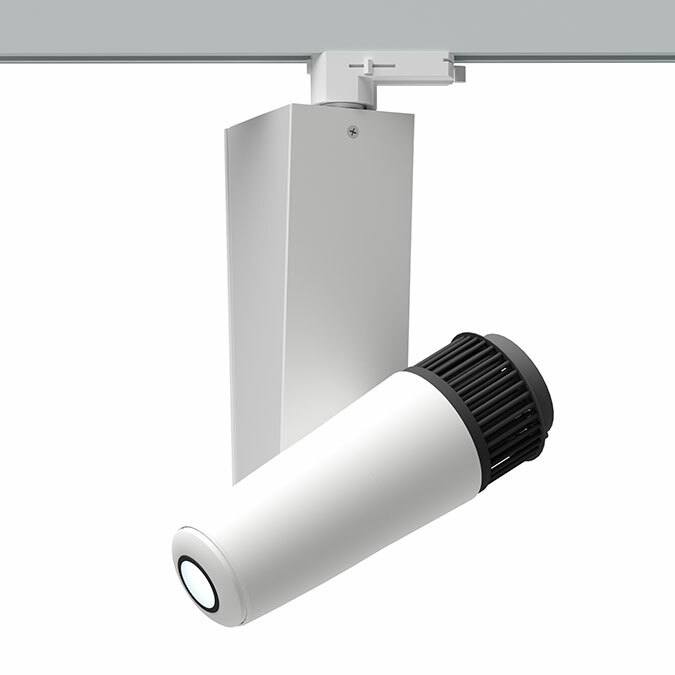 We offer gobo projector Derksen PHOS 40 LT in three colour variations: silver, black, white.